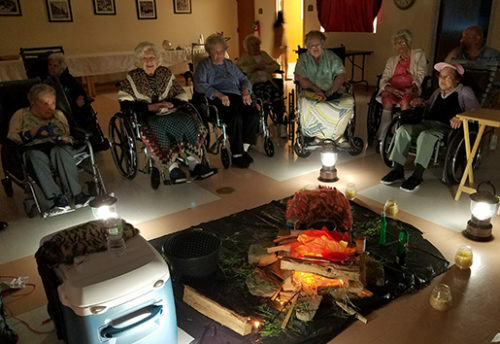 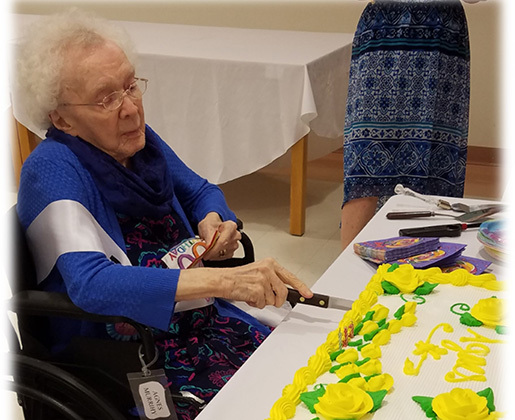 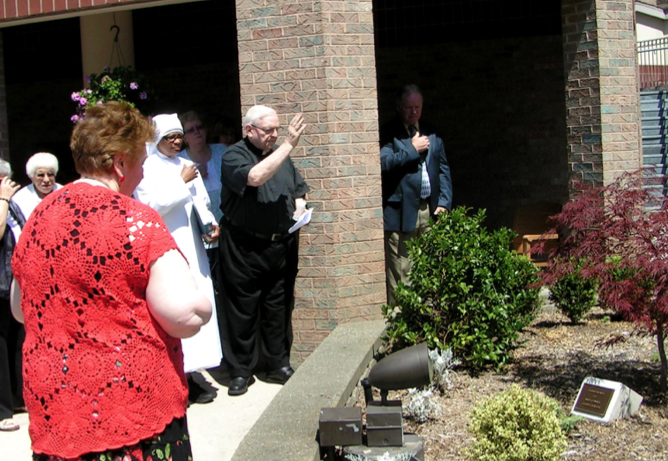 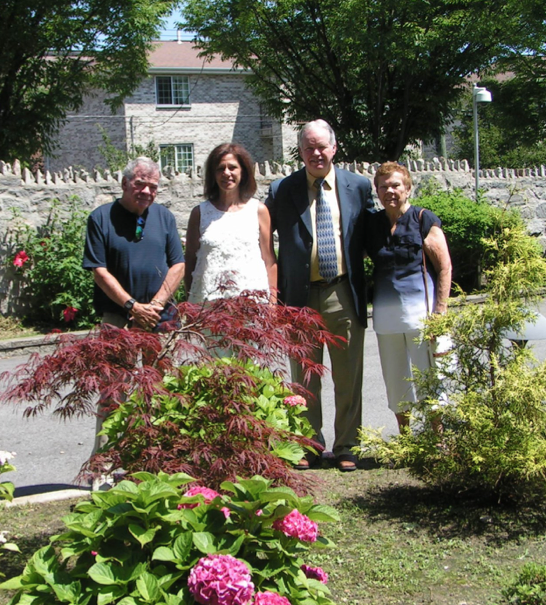 for Elizabeth & Michael Tighe, Sr.
On Sunday, July 16, a group of Residents and former Residents’ family members gathered at Jeanne Jugan Residence for a prayer service led by Fr. 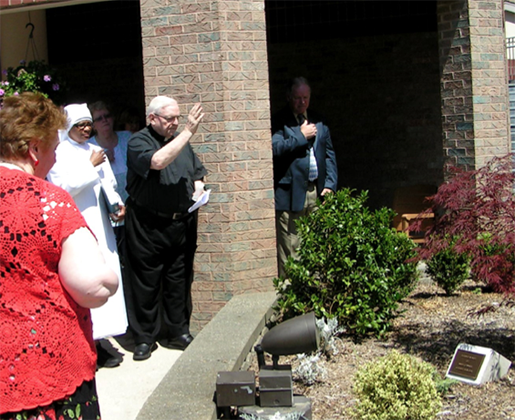 Thomas Smith, SJ, our priest-friend whose mother, Eleanor, had also lived with us. 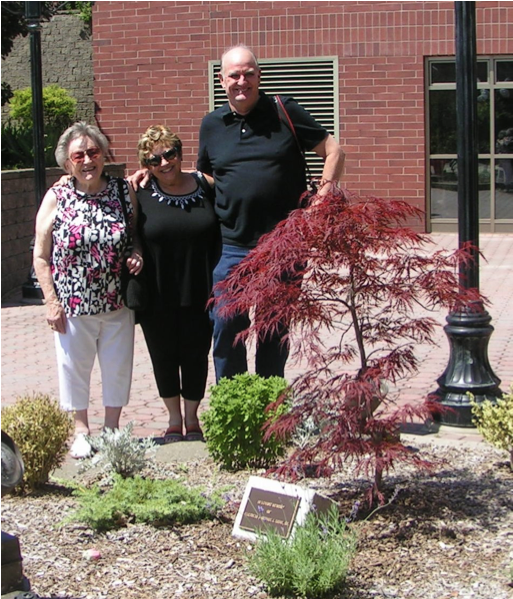 Eugene Tighe (pictured above with his wife, Candi and mother-in-law), offered to made the cement bases for our lovely plaques in memory of our dear loved ones. 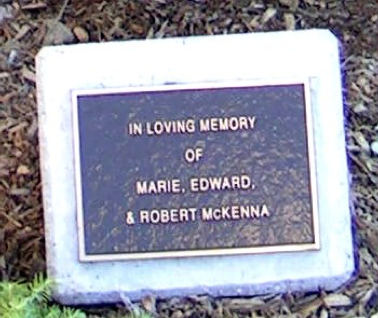 May they and all of our deceased Residents, rest in eternal peace!